I consider Eccles et al. 's (1983) expectancy-value model of achievement performance and choice from a developmental perspective, by examining how recent research on the development of young children's competence beliefs, expectancies for success, subjective task values, and achievement goals can be incorporated into the model. 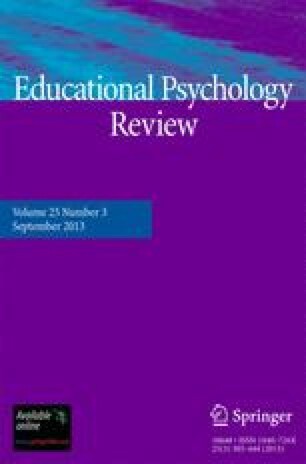 The kinds of change in children's achievement beliefs considered include change in the factor structure of children's competence beliefs and values; change across age in the mean level of those constructs; and change in children's conceptions of ability beliefs and subjective values. I also discuss how achievement goals are conceptualized in this model, and how goals are conceived by other current motivation researchers. Changes in the nature of relations among competence beliefs, subjective task values, achievement goals, and achievement behaviors also are considered.